The 2018 Geneva Motor Show in March will see the public unveiling of the new Peugeot Rifter, ahead of its worldwide commercial launch this September. 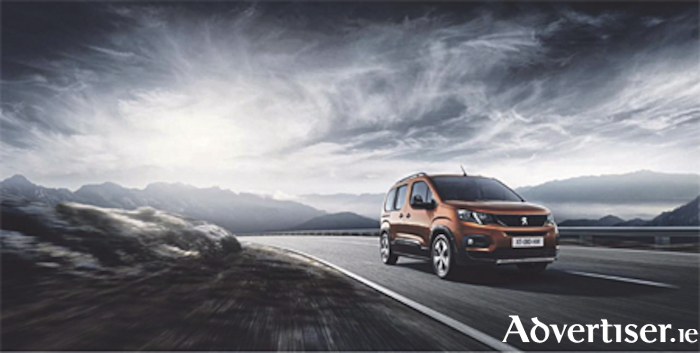 The Rifter features the latest technological equipment and new-generation efficient engines. It is available in two lengths, with five or seven seats, and combines versatility, modularity and practicality. A unique 4x4 concept version of the Rifter will also be presented at the Geneva Motor Show. The new Rifter borrows from the characteristics of the SUV world: a high ride height, large wheels, large door sill, body sill, wheel arches and rear bumper protection. Proportions are perfectly balanced, with a short, horizontal bonnet, a high body belt line and shortened overhangs. The Lion in the centre of the vertical grille, the feline LED signature lighting and three claw marks on the rear lamps mirror the very latest vehicles in the Peugeot range. The rear features a large tailgate opening onto a spacious boot. An angular designed bumper offers optimal protection. Roof bars are carefully integrated, while notched wheel arch trims add an athletic feel. The interior design of the Rifter features the Peugeot i-Cockpit, which comprises a compact steering wheel, an eight-inch capacitive touchscreen and a head-up display, all contributing to a stimulating and intuitive driving experience. Two versions of the 1.2 PureTech petrol engine are available: a PureTech 130ch S&S with an eight-speed automatic gearbox / EAT8 (available in 2019 ) and a PureTech 110ch S&S with a five-speed manual gearbox. Three 1.5 BlueHDi diesel engines are available: a BlueHDi 130ch S&S with a six-speed manual gearbox or eight-speed automatic gearbox / EAT8, a BlueHDi 100ch with a five-speed manual gearbox, and a BlueHDi 75ch with a five-speed manual gearbox. The list of technological equipment is impressive. It includes, depending on the version, adaptive cruise control, active lane departure warning, driver attention warning using camera surveillance, active safety brake, automatic activation of main and dipped headlamps, tow bar stability control, a Visiopark 180° reversing camera, a blind spot monitoring system, and much more. Positioned within arm’s reach are USB ports, a jack socket, Bluetooth connection and a wireless charger. The system is complemented by ‘Mirror Screen’, which is compatible with Apple Carplay and Android Auto, and Connected 3D navigation. The new Peugeot Rifter will go on sale worldwide this September. Call Hugo Loonam Motors on (090 ) 6457104 for more information.